Clamshell is a very classic design! Simple due to its single shape, the curves traditionally are a problem...but, not with Quiltsmart Methods. METHOD: "Zigzag Applique" - this is EASY! Just stitch, trim, turn, fuse, and zigzag. 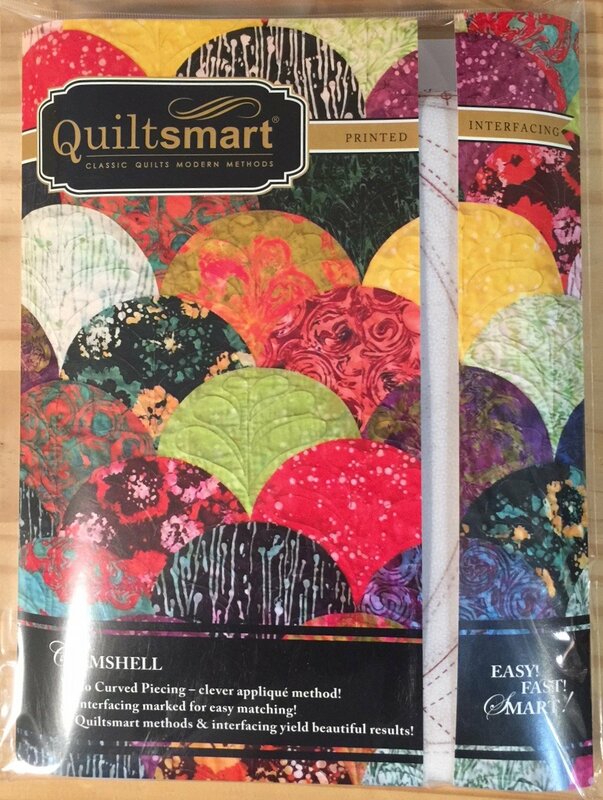 No curved piecing, no needle turning! The clamshells are butted together and zigzagged in rows. Interfacing is marked so it is easy and accurate. The clamshells are about 8" across. You can use 10" squares, but anything larger than 8.5" works! Comes in a 9" x 12" pack with 8 panels of interfacing & instructions to make the layouts shown on the back cover or create your own layout. Each panel yields 20 Clamshells. PEEK DOWN (Scroll) to see RELATED PRODUCTS!